As many homeowners are concerned about “going green” to save the environment, eco-friendly windows have become increasingly popular in recent years. However, many are still wary of switching to eco-friendly windows, as they are informed of the benefits of this type of window. 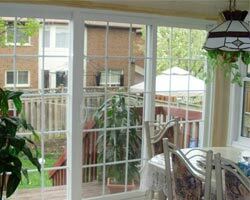 The following article will give some useful information on windows that are eco-friendly, such as vinyl windows. 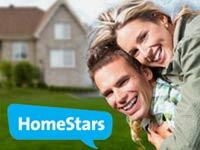 This will help homeowners in Canada make an informed decision when the time for window replacement comes. 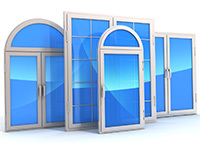 With the rising trend of eco friendly windows and doors, it is time to dispel some of the myths about these windows. 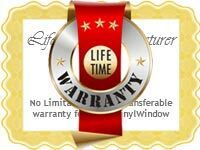 First of all, in order to be classified as eco-friendly, the full window unit must be in compliance. 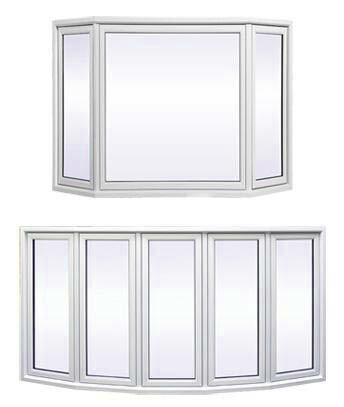 This means that the window frame has been manufactured with eco-friendly, low transfer material, such as vinyl or wood. In addition, they must be air-tight, waterproof, and water resistant. 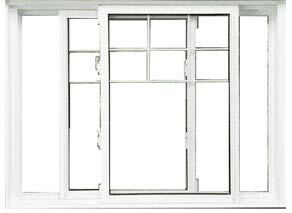 As for the window panes, they must be double or triple pane windows in order to be labeled as eco-friendly. 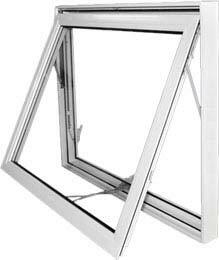 Double and triple pane windows prevent condensation due to the fact that hot air does not escape through the window because of the presence of inert gases. These gases are not harmful to the environment. Thirdly, low-E (or low-Emissivity) coatings are applied to eco-friendly windows in order to limit the amount of ultraviolet light that enters your home. 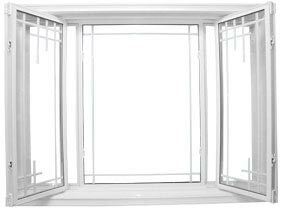 Eco-friendly windows are beneficial in that they minimize air leakage and heat loss, thus keeping your home warm during the cold winter months. 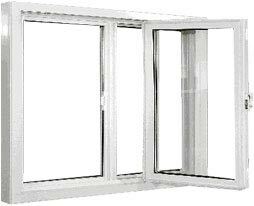 Prevents condensation and frost from forming on your windows. 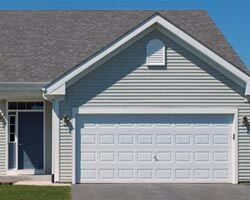 Fiberglass, though being the most costly windows material, is the most eco-friendly. It is built to last many years and is resistant to warping, denting, and rotting. 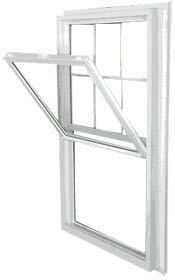 Aluminum is the most widely used type of window frame, as it is highly durable and can withstand any type of weather. 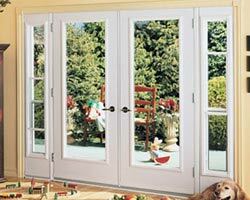 However, it tends to warp as it ages so aluminum windows do not last as long as their vinyl or fiberglass counterparts. 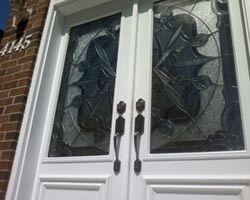 Wooden windows are the popular choice for those who are going for a more traditional look for their home. 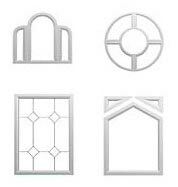 Moreover, they are not as expensive as fiberglass windows. Wooden windows do not withstand harsh weather conditions like other materials and are prone to rotting and warping. 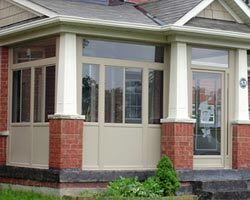 Vinyl windows are an extremely popular choice amongst Canadian homeowners, as they are energy efficient, durable, and affordable. They are also known for being eco-friendly. 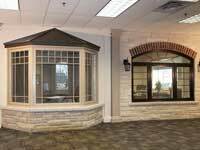 A disadvantage of vinyl windows is that they are limited in style options, such as texture and colors, unlike other windows material. 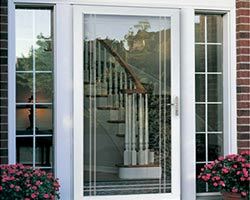 However, if you are looking for eco-friendly windows that will also help lower your energy bills, vinyl windows are the preferred choice for window replacement. 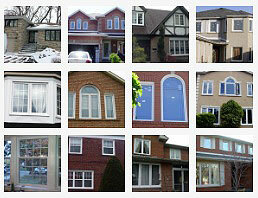 Total Home Windows and Doors is committed to manufacturing eco-friendly and energy efficient windows. 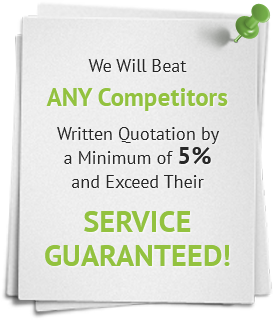 Call us today to get a quote for high quality and durable windows and doors.